Injury is the leading cause of death for children in the U.S. As a leader in providing specialized pediatric healthcare, Valley Children’s recognizes the importance of injury prevention and works collaboratively with community agencies to prevent those tragedies. Each year Valley Children’s Injury Prevention Program provides injury prevention education and outreach to children and families through a variety of forums throughout Central California. The program is designed to help keep our kids safe. As the lead agency for Safe Kids Central California, Valley Children's Healthcare is proud to be a leader in supporting pediatric injury prevention efforts throughout Central California and is committed to providing resources towards these efforts. Safe Kids Central California is a coalition of 30 agencies made up of healthcare, law enforcement, social services, education, media, and more who are dedicated to preventing unintentional injury in children. Unintentional injury is the number one killer of children across the United States and around the world. 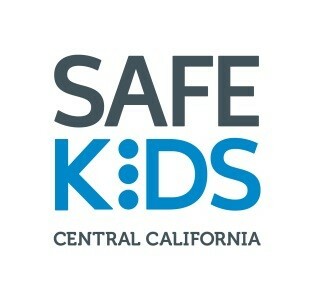 Safe Kids Central California is one of 400 Coalitions who are part of Safe Kids Worldwide, an extensive network of coalitions and partners in the United States and around the world to reduce injuries from motor vehicle, sports, drownings, falls, burns, poisonings, and more. Our primary prevention areas are child passenger safety, drowning prevention, falls/sports injuries, burn prevention, safe infant sleep, safe teen driving, and medication safety. For information on Valley Children’s Injury Prevention or Safe Kids Central California, contact the Trauma program at (559) 353-6204. Valley Children's Hospital and Kohl's Cares have partnered to provide the Kohl's Water Safety Program, which provides awareness messaging and community outreach events to educate children and families on water safety and drowning prevention. Click here to learn more about the Kohl's Water Safety Program.